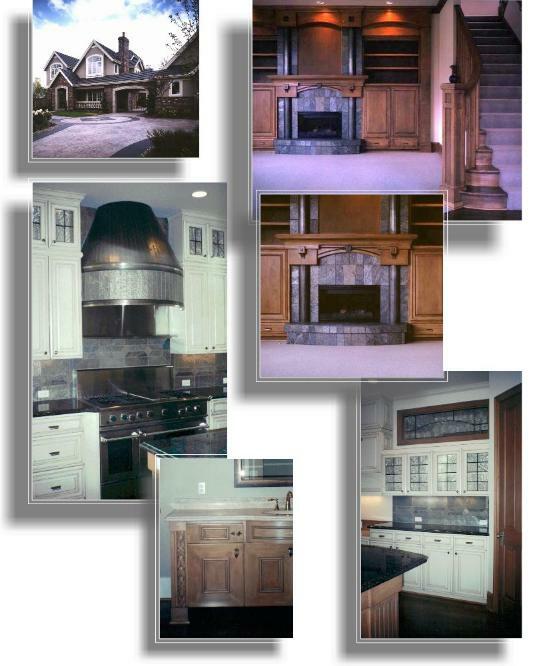 DH DESIGN has worked with home owners, builders, and developers to create beautiful custom homes, spec homes with style, or renovated spaces. 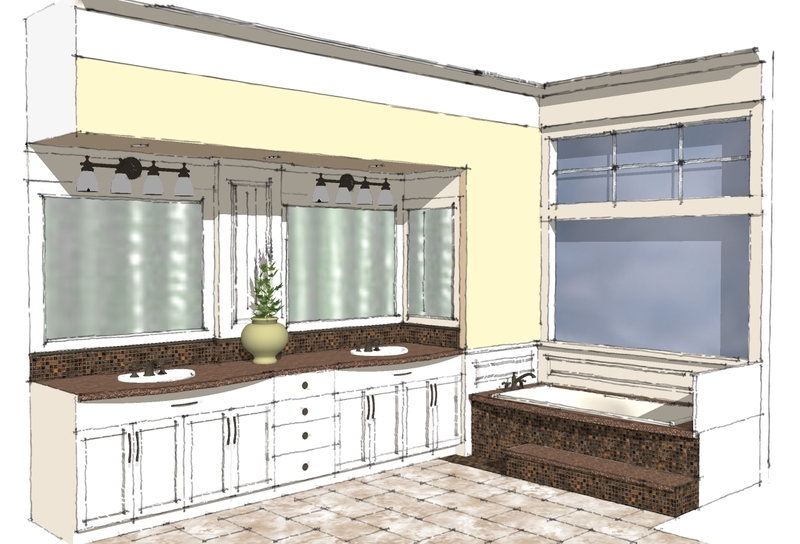 It is always a collaboration, and DH Design has been honored to contribute and create alongside many, fine northwest homebuilders and homeowners. A lake setting (Redmond, WA) is perfect for the exterior and interior playfulness of this 3 story residence. 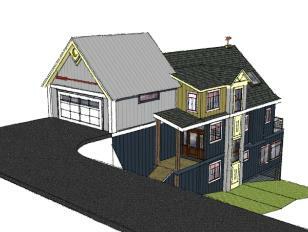 The exterior combines "zincalum" metal siding, board & batten, galvanized accents, and deep red windows against denim blue, khaki, and cream trim. Gables are accented with cutout floating panels with sun, moon, and stars revealing deep yellow beneath. Interior finishes include knotty alder, recycled fir beams & 10" distressed plank flooring recycled from the Port of Oakland, and an over grouted brick kitchen backsplash. Below: Computer modeling before construction allowed DH Design to work through variations of the design, materials placement, & color. Accommodating and updating new audio/video equipment was the challenge at this Bellevue, WA home. 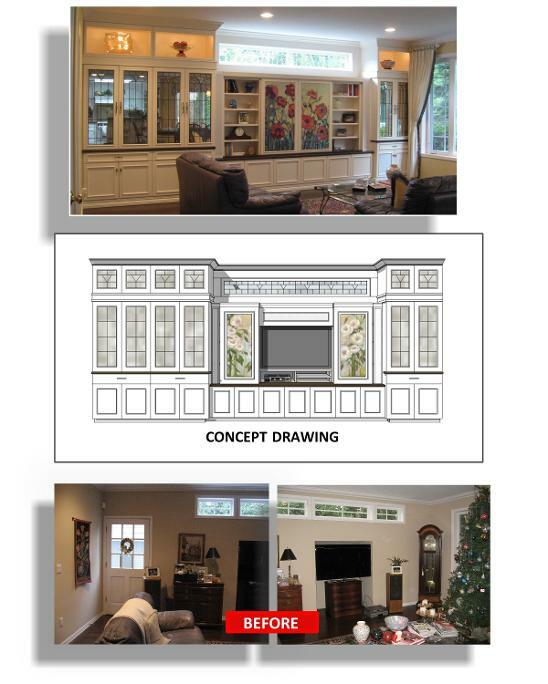 DH Design's built-in cabinetry design encompasses the full 19' wall width, and included sliding center door panels that open for TV viewing. When closed, the doors reveal bookcases. The art was selected by the homeowner and digitally printed to size. The horizontal window was replaced with an antique leaded glass window, and the leaded glass window design was used in the custom made antique glass mirrored cabinet doors. Grill cloth in some door panels screens equipment and allows for excellent audio sound. The family room now feels much larger, brighter, and the homeowner is delighted with additional storage. 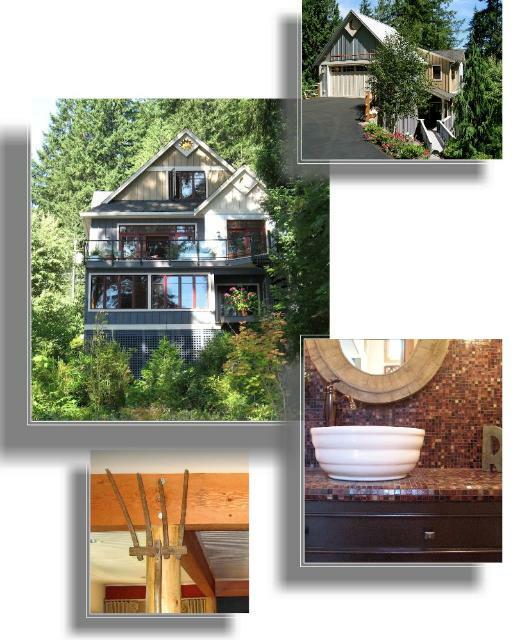 Rural Redmond, WA is the setting for this single family home for a family of four. 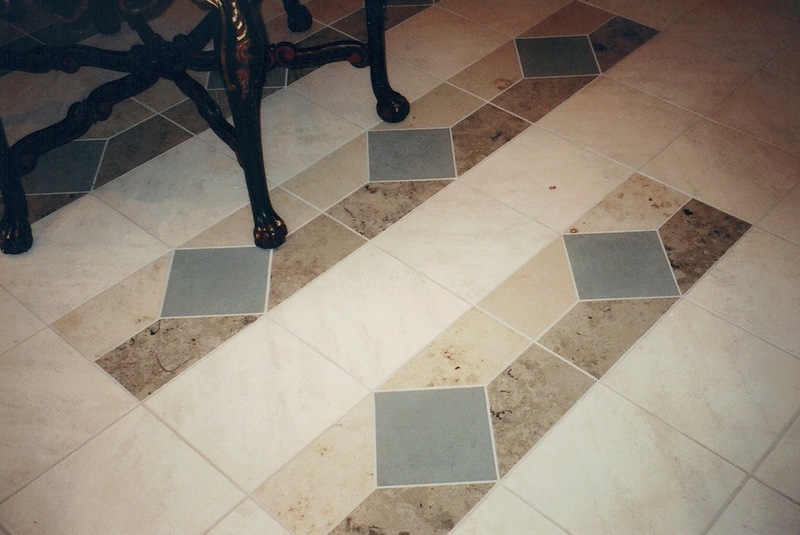 The entry features 24x24 slate with antiqued relief accent tiles along the perimeter. DH Design also designed the stairway railing. A double-sided fireplace runs from the master bedroom into the master bath, which features deep gold travertine w/metallic accents, glazed cabinetry, and free-standing tub. 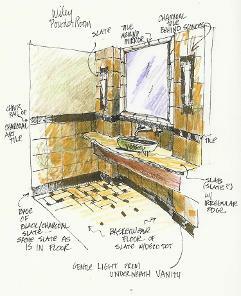 Below, concept drawing for powder room. 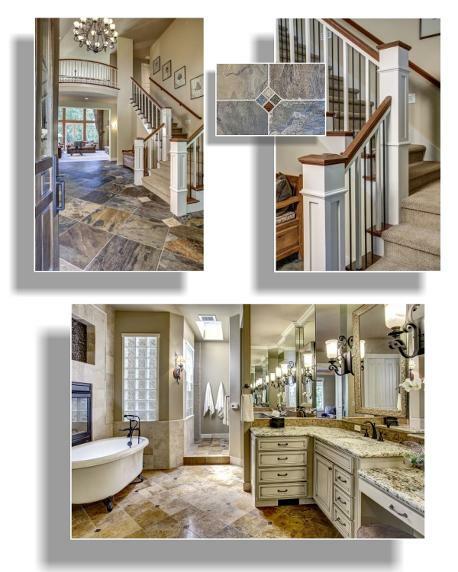 Custom elements abound within a traditionally styled spec home in Redmond, WA. 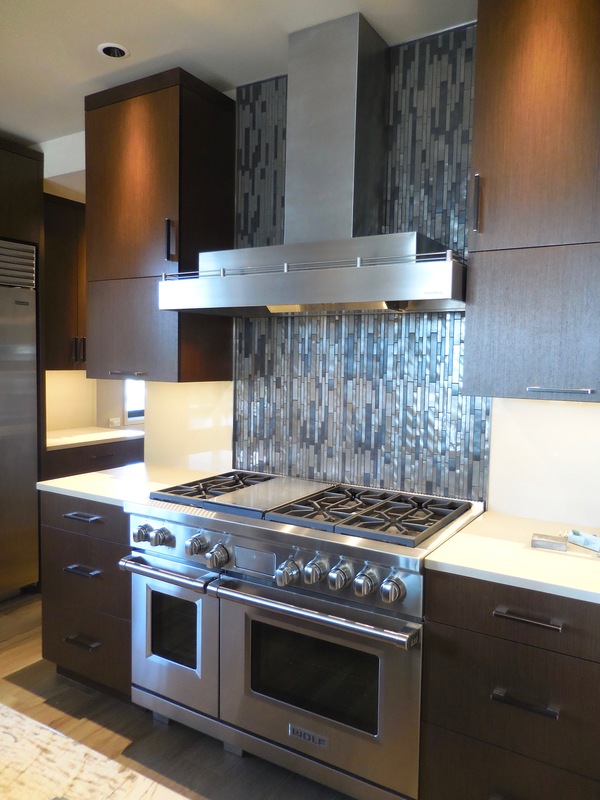 DH Design designed a stainless steel hood with the same honed slate tile as is used at the kitchen backsplash. The family room fireplace nearby used the same tile with a countersunk round iron rod detail within the arch. Painted kitchen cabinets are custom finished with glaze and slight distressing and include decorative, leaded glass panes. The fireplace columns & the kitchen's hood steel were driven over by a truck on a graveled surface before being flattened again & put through bump-break machinery. The award winning stamped concrete driveway, designed by DH Design, is 2 color random slate pattern with slate tile insets coordinating with slate at the home's entry. 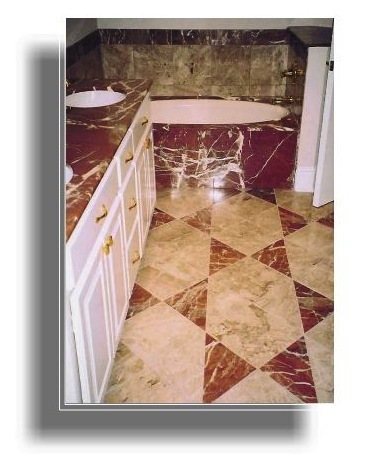 A blend of slab, stone tile, mosaics, and bronze accent buttons transformed a master bath from 1980"s mauve to a classy, peaceful space. 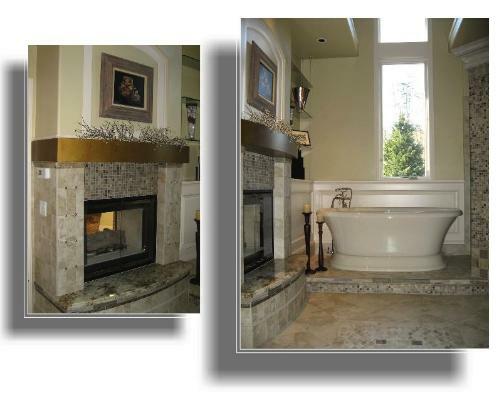 The freestanding spa tub replaced a built-in tub, opening up floorspace and visually enlarging the room. 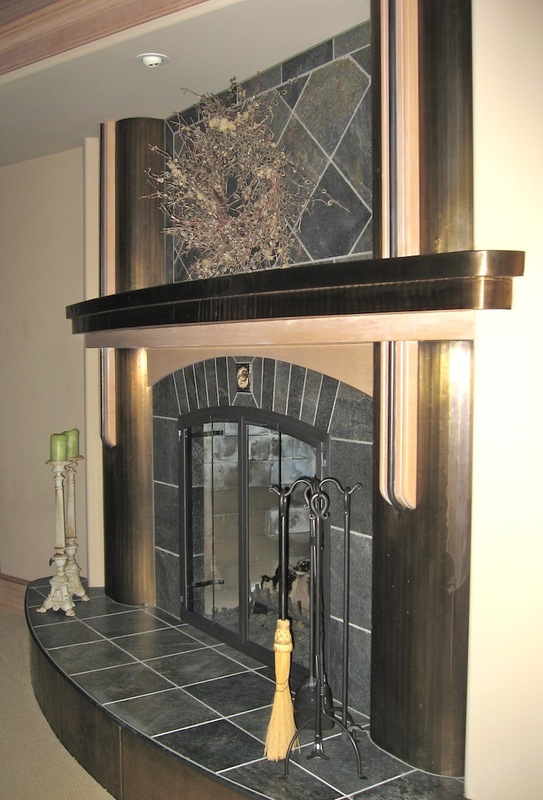 Accents are bronze, including the tile buttons, floor accents, and faux-metal on the mantel. Simple tile cuts become a striking pattern in this guest bathroom (Nashville, TN) that uses both cut and the statement of Rojy alicante slab marble.